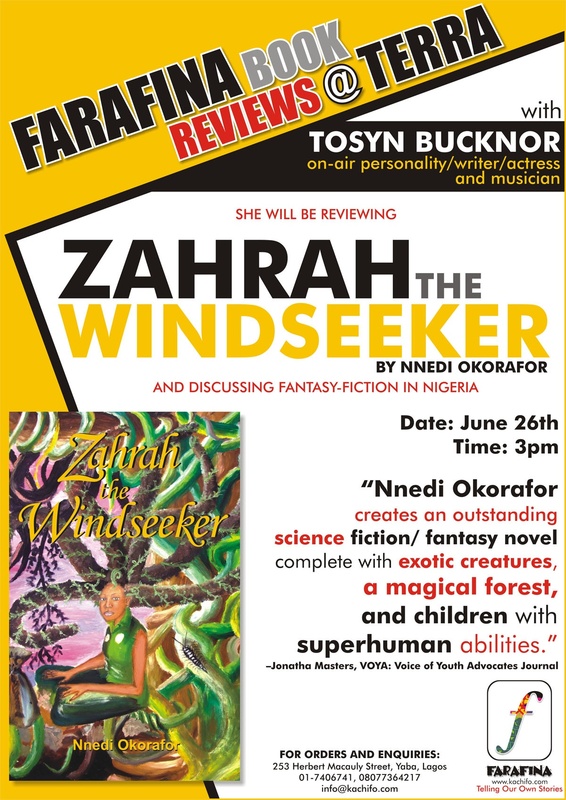 Join us this saturday at Terra Kulture as we launch our Farafina Book Review at Terra Series. Fabulous on-air personality and all around celeb Tosyn Bucknor will be on-hand to moderate the session and also discuss the genre of fantasy fiction in Nigeria and across the continent as a whole. Many prizes and awards neglect this genre but could it be the most important one of all giving the African tradition of storytelling and the fact that many of our folklores lend themselves so easily to science/fantasy fiction? “The BookJam @ Silverbird” is a monthly event that consists of book readings, discussions, musical performances, poetry recitals, book signings and a raffle draw. •	Kunle Ajibade, author of Jailed for Life: A Reporter’s Prison Notes. Admission to the BookJam is free. Members of the audience who purchase books during the event stand a chance to win a special prize in a raffle draw. For more information send an email to auggustmedia@gmail.com. On a humid Lagos night in July 1996, my family gathered around the television, all of us armed with hope: Nigeria was playing Argentina in the final game of the Atlanta Olympics. We shouted – “Go now, go go!” “What is he doing?” “Look at this stupid boy!”– and fell silent, by turns; we hoped and despaired; and we threw Igbo and English insults at the bald referee who we were convinced was biased against Nigeria. The score was 3-2 for Nigeria and there were a few minutes left to go and I could no longer breathe properly. I wanted to fast-forward time, to leap into our victory because I feared that the longer we waited, the less likely it would come. But it came. The shrill pee-pee-pee whistle went off. We had won gold. I remember feeling very light, hugging everyone, laughing, repeating the same things that somebody else had just said. We hugged neighbours we did not like. We offered drinks and relived the game over and over. From the streets came the sounds of car horns, of shouting, of singing. What happened that night was an explosion of nationalism of a certain kind, a benign, forgiving, optimistic nationalism. We forgot about neighbours who stole our electricity wires and leaders who stole our oil money. We all became, for that moment, Nigerians who had contributed to the vanquishing of the world. 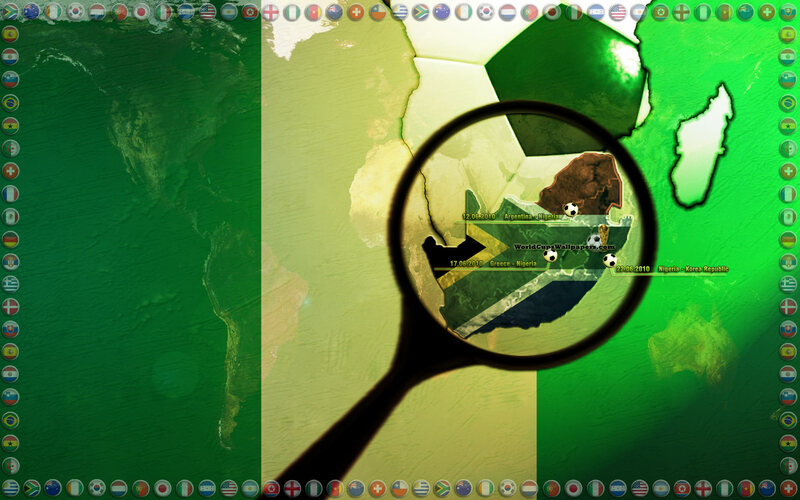 Still, football nationalism, for many of us, often expands past Nigeria, and into the rest of Africa. I do not ordinarily much care for football or for excessive nationalism, but whenever Nigeria plays a major game, I find myself undergoing a transformation. I kick the air as I watch. I scream. I pray. I will the universe to make us win. We’re big supporters of the LAGOS 2060 project being managed by the Dream Arts and Design Agency (DADA) in collaboration with the Nigerian Center for Excellence in Film and Media studies. Lagos 2060 is special to us for a myriad of reason but two of the top ones are that it explores pride in the city of Lagos, and it explores the genres of science-fiction or fantasy-fiction as you may have it. For these two reasons alone, Farafina Books has also pledged to lend as much support as possible. Culled from the Cinema and Fiction blog, the article below takes an in-depth look at Lagos and why projects like Lagos 2060 are so vital to our continued development. October 1st 2010 will be the 50th anniversary of Nigerian independence from the British empire. Senator Adamu Aliero, has reportedly announced that the Nigerian Government is planning to celebrate the 50th anniversary of independence in a grand style. A new literary project, however, is set to mark the 50th anniversary in a different way – by imagining Lagos in the year 2060, 100 years from independence. Lagos is a megacity with a population of around 13.5 million residents, making it the 5th most populous city in the world. One of these residents is Fred Nwonwu. “Writing fiction of any kind in Nigeria,” says Fred, “is more of a passion than an economic pursuit. Most writers here do it more for the love of the craft than the financial gain. Perhaps that is why there seem to be a multitude of gifted writers here.” Fred is a participant in Lagos: 2060, chosen based on a sample of his writing. For the project, Nigerian fiction writers imagine what the city of Lagos could be like 100 years from independence in the year 2060 and turn their ideas into an anthology of short science fiction stories, complete with illustrations. Fred says, “Lagos 2060, aside from granting some of us the opportunity to get published and recognition, also gives us the opportunity to explore the corners of our creativity.” The Lagos: 2060 project engages the participant writers in a series of three workshops. The aim of the workshops is “to stimulate creative minds to exceed themselves in fiction writing.” They are not to tell the writers what to write and how, but to provide an environment and creative stimulus to help them develop their own ideas and to turn them into compelling fictional stories on the theme of Lagos in the year 2060. Now we have some very loyal and avid readers who voraciously search for and consume Farafina Books, and it goes without saying that we are very grateful for your patronage over the years. Dare I say, we may even be friends as we’ve met at the various functions and events that Farafina hosts or supports. But every once in a while we take a look at our shelves and are so chuffed to have such a wonderful collection of writers and an amazing array of books that we just want to share them anew, maybe even re-introduce these works to readers out there. Ben Okri is one of those writers and Starbook is one of those books. Enjoy! This is the story of a time long ago when people were in touch with the spirit world and knew – as a people – who they were and where they were going. At times it is hard to digest this latest offering, which sees the fulfilment of a writing style Ben Okri has been developing since his Booker Prize novel in 2001, The Famished Land. Okri mixes a range of styles in this latest book, which successfully weaves a story of magical realism with African myth to develop a novel that is truly unique. Every page, every paragraph and every sentence contains a separate metaphor, which can become tiresome to read. Simplicity is clearly not something Okri is trying to achieve – instead he jam-packs adjectives into every line, just like an epic poem, forming an absolutely beautiful piece of writing. At first I struggled to see what theme Okri was trying to achieve and it was only when I threw away my Western preconceptions of how a book should be written that I was able to fully grasp the African symbolism of a glorified past which has slowly passed away, leaving a people who are now – through the stories of their past – trying to find a true sense of self. Okri makes it clear from the start that this is a story of his own people, a story his own mother told him when he was a child. There are hints throughout that the culture he is referring to is that of the Igbo people in Nigeria, whose belief in the spirit world being alive and well on this earth is the basis of this book. The story’s main character is a prince who lives in an almost perfect village, but the boy is no ordinary child. He comes from the world of spirits and, because of this, his eyes are opened to both the wonder and evil which fills his land. “Long ago, in the time when the imagination ruled the world, there was a prince in this kingdom who grew up in the serenity of all things. He was my mother’s ancestor, and he alone of all the people in that village loved playing in the forest. The elders in the village are jealous of this child who sees too clearly the evil they are getting up to . The prince however, is soon occupied by thoughts of love when he meets a strange maiden from a secret tribe of artists who can also see the truth behind things. The prince learns that in order to be a great man he has to first fully understand himself, an ability most don’t attempt to achieve. But while the prince is occupied with love and self-exploration the evil in the kingdom gathers strength and, like an evil monster, begins to slay every god, the beauty and wonder of all things. And as all good slowly begins to die people are too preoccupied with their lives and selfish concern to even notice. Among the people whose village disintegrates is the tribe of artists. They break up and travel to distant parts of the world, each of them creating art that no longer holds the grace of the spirit world. And so the world moves on and people get on with their lives, but the perfect world of the prince and his search for self now only exists in stories of myth. Myths which Okri has made his own. If you are still in the mood for some more from Ben Okri, and who wouldn’t be? Check out this recent interview (May 2010) conducted by Vanity Fair’s Anderson Tepper for the PEN American Center as part of the their 2010 PEN World Voices Festival. Do take a chance to look through their site as it has a lot of great information and interviews with other world-reknowned authors such as Mohsin Hamid and Salman Rushdie. Very happy to spread the word about one of Africa’s most exciting literary initiatives: The Baobab Prize, an annual award that encourages the writing of African literature for young readers. The Baobab Prize annually invites entries of unpublished African short stories written for audiences either 8-11 years or 12-15 years. This year the prize will award $1,000 to the best story in each category and $800 to a promising young writer (18 years and below). Also all short listed stories will be considered for possible publishing. The Baobab Prize is open to African citizens of all ages. Deadline for submission is June 21, 2010. Check out further details on the website (http://baobabprize.googlepages.com) and consider submitting your stories. The mission of the Baobab Prize is to identify the African literary giants of the next generation and to produce classic stories that will be appreciated for years to come!